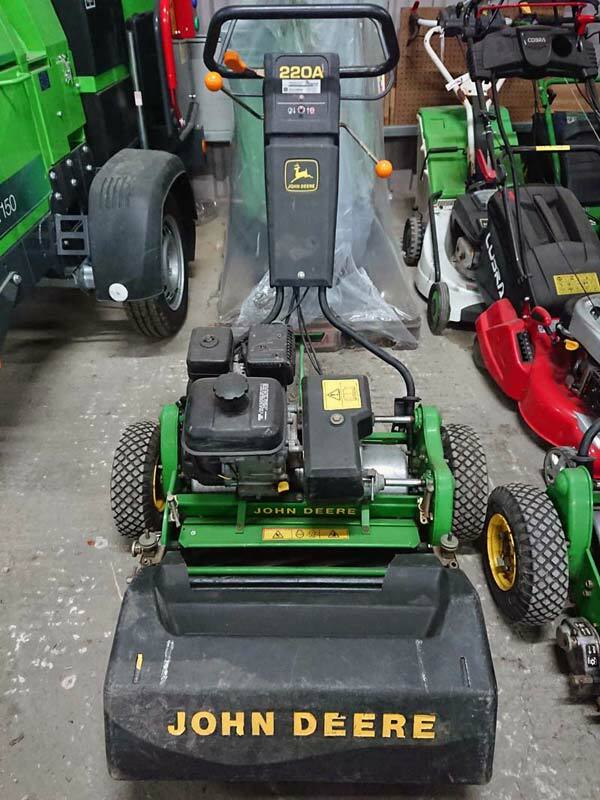 Used John Deere 220A in good condition. Sold new and maintained by Powercut. 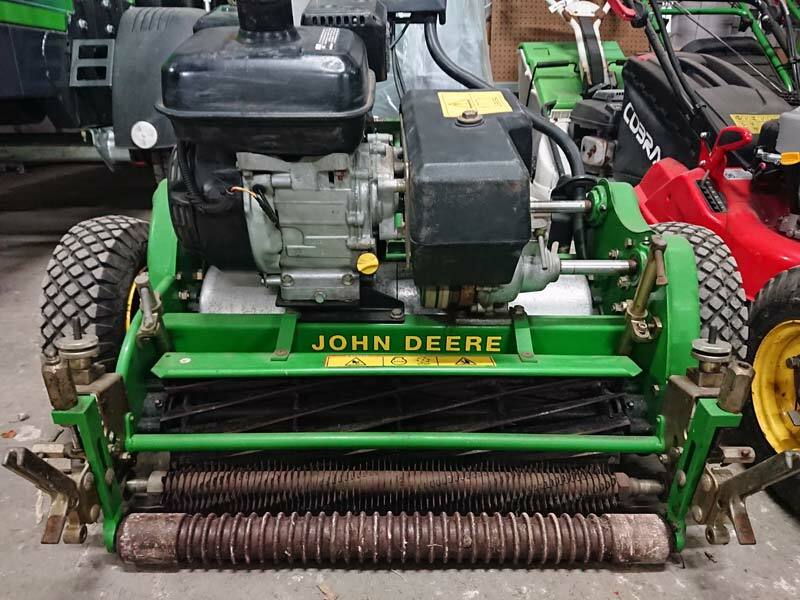 This model features 11 blade reels, groomers and transport wheels.